Upon hearing that Merle Haggard had sung his last song (dying on his 79th birthday earlier this week), I was reminded of one of my favorites. 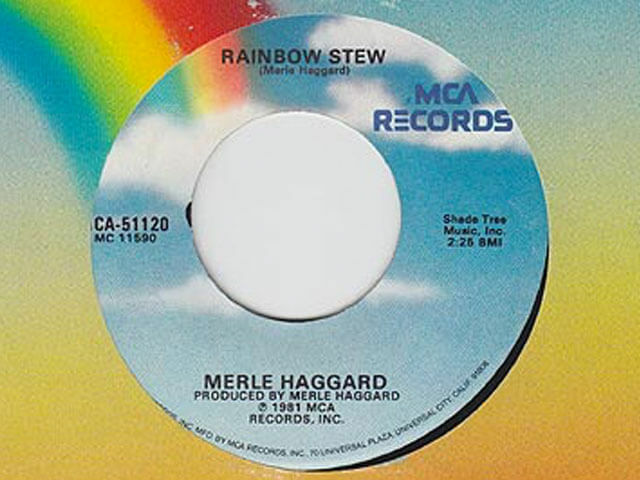 In “Rainbow Stew,” written 35 years ago, Haggard tells us that when we’ve successfully tackled our biggest challenges, like war and pollution, “We’ll all be drinking that free bubble up and eating that rainbow stew.” I love this song because Haggard voices the truth: we all need clean air to breathe. He sings about sunlight heating our homes and cars and planes no longer polluting. Depending on whether you see the glass as half full or half empty, you’ll hear this song as hopeful or as one of dreams we will never fulfill. My take is that when Haggard sings of the day “When people start doin’ what they oughta to be doin’” that’s his cue to us to join in and create a better world. 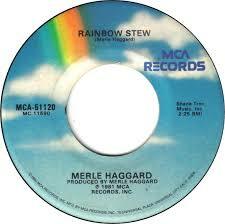 Get your twang on and listen to Rainbow Stew. P.S. You’ll also like this song if you’ve got a stake in our presidential election. No Replies to "Rainbow Stew"